Technical progressive metal Spiral Architect was founded in 1993 in Oslo, Norway, when lead guitarist Steinar Gundersen (ex-King's Quest) joined the remains of Anesthesia consisting of Kaj Gornitzka (guitar), Lars K. Norberg (bass) and Asgeir Mickelson (drums). From the onset, the band set out to branch off from the music of contemporary innovative metal bands like Watchtower, Fates Warning and Psychotic Waltz. The overall idea was to once and for all integrate jazz-fusion elements with uncompromising metal. In other words, to explore technical metal. The first official recording showcasing Spiral Architect’s music was the songs "Fountainhead" and "Purpose" recorded for the compilation CD "A Gathering…" in 1995. These two songs were also released as an independent demo in February '96 and promoted heavily worldwide through magazines and the internet. The demo created havoc in the progressive metal undeground scene, and for years Spiral Architect was the most hyped unsigned band around. 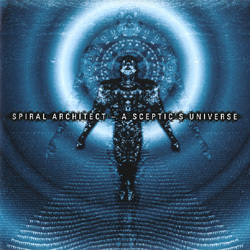 Many record labels were interested in signing the band, but Spiral Architect awaited the situation and continued to develop. To this day, the hype is up and people are still raving about Spiral Architect based on the strength of the demo from 1995. Spiral Architect had always lacked a vocalist. The voice on the 1995 demo was therefore that of session vocalist Leif Knashaug. 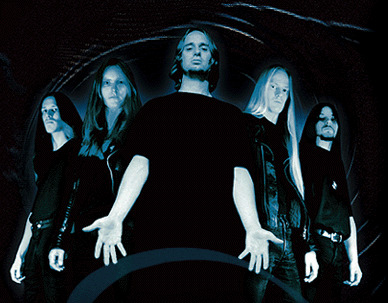 The inclusion of vocalist Øyvind Hægeland (ex-Manitou) in 1996 set the stage for the next era in the development of Spiral Architect. The band was now determined to leave the progressive metal label once and for all. Now, the time had come to lay the foundation for what was to become "A Sceptic’s Universe". Spiral Architect opted for a holistic approach to the art of making a record (music, text, lyrics). The album and the philosophy behind it was to reflect the rational and skeptical world view held by the musicians involved. In 1997, Spiral Architect signed a world wide record contract with the American based The Laser’s Edge/Sensory label. The debut album "A Sceptic’s Universe" was recorded in June 1998 at Village Productions, Texas, USA, with producer Neil Kernon (Yes, Brand X, Queensryche, Nevermore). The album marks a radical departure from the 1995 demo. The band has developed into realms of complexity and intensity that pushes the nature of technical metal further. This statement in technical metal will be released in Japan on December 16th 1999 (with the Fates Warning cover "Prelude to Ruin" originally recorded for the FW tribute "Through Different Eyes" as a bonus track) and the rest of the world on January 18th 2000. ).